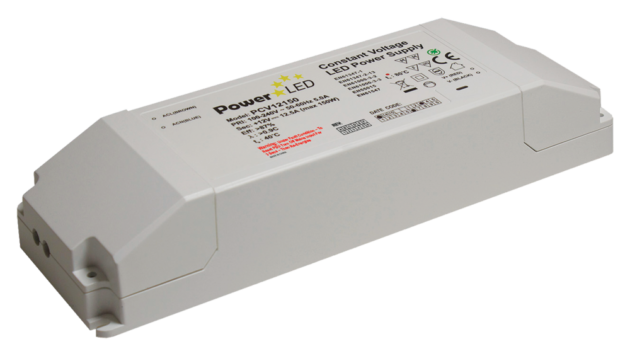 Our energy efficient and energy compliant PCV12150 is a 12VDC 12.5A LED Driver. Suitable for indoor lighting applications including a high efficiency of 87% and power consumption of 150W. Our energy efficient and energy compliant PCV12150 is a 12VDC 12.5A LED Driver. Presented with an LED indicator for power on and features including an over load, short circuit and thermal protection, they are made suitable for indoor lighting applications, complimenting their high efficiency of 87% and power consumption of 150W. Designed with smart features including captive terminal screws for ease and an LED indicator for power on.